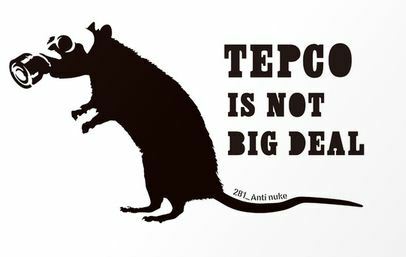 TEPCO and IRID announced that a new inspection scope has been developed to look into the unit 2 containment pedestal in January 2018. Previous inspections using robots found significant damage and a burn hole in the pedestal upper flooring grate. High radiation levels and unexpected damaged limited the ability to look further during those earlier inspections. This new scope features a pan-tilt camera that can also be dropped down on a cable. 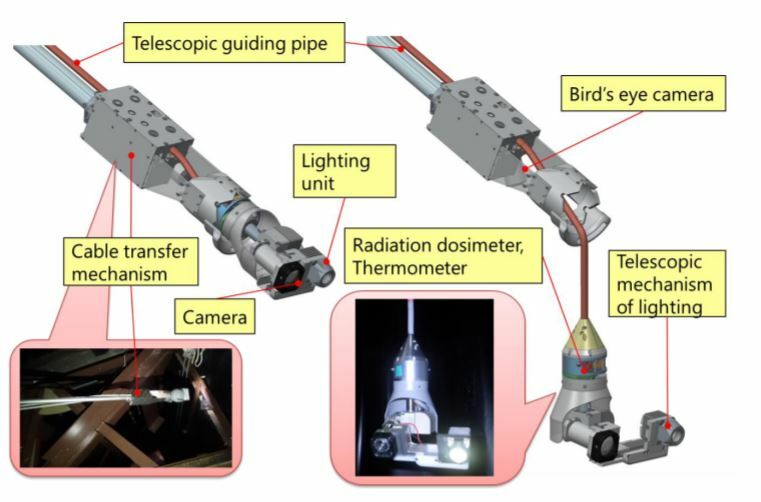 This camera head has adjustable led lighting, a temperature sensor and a radiation meter. Toshiba claims it can withstand 1000 Sieverts of radiation. This considerably increases the chances of this scope completing the task at hand. The big question left after the last inspection was the condition of the corium (melted fuel) that fell into the bottom of the pedestal. 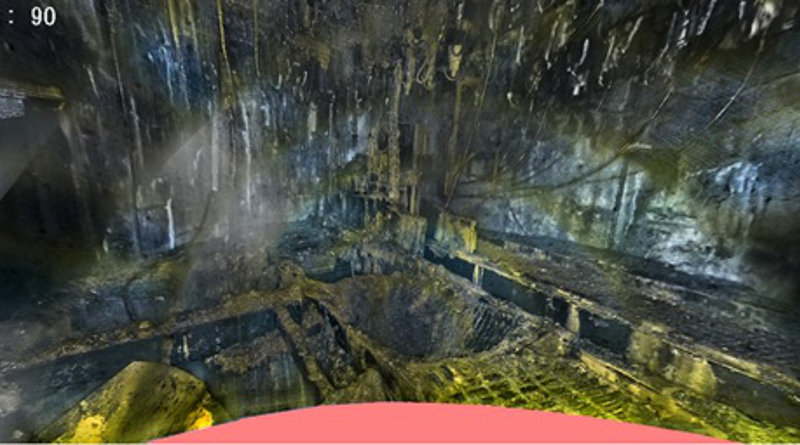 Other inspections found it did not burn through laterally into the torus room and no significant amount of fuel remains in the reactor vessel. If the corium fell at a slow rate into the pedestal it could potentially gather in that location and begin to burn down into the basemat concrete digging a hole for more corium to follow. This upcoming inspection could provide critical information toward determination of any future fuel removal plans. It would also provide new understanding of the disaster. If the results are fully conveyed to the public.